The first step to losing weight is coming up with a plan. Are you ready to slim down? By following a few weight loss basics you can learn how to eat a healthy diet, start an exercise program, improve your health, and finally reach your weight loss goal! There is no shortage of diet plans on the market. There are popular commercial diets like Jenny Craig, Nutrisystem, and Weight Watchers. You'll also find diet books and online programs like The South Beach Diet or Atkins. So, which one works? Research studies have shown that no single diet is necessarily better than the others. The best diet for you is the diet you can stick to. To choose the right diet, ask yourself important questions about how much money you can spend, how much time you have to plan and prepare healthy meals, and how much support you have from friends and family. You might also want to think about why previous diets didn't work. The answers to these questions will help you find ​a diet that will meet your needs. But remember that you don't have to buy a book or sign up for a membership to enjoy weight loss benefits. You can cut calories and lose weight on your own. Many successful dieters find that by making small changes to their meals and boosting daily physical activity they are able to see real results on the scale. To start your own plan, you need to figure out how many calories to eat each day and how many calories to burn. It doesn't matter what kind of diet you choose, all weight loss programs reduce your caloric intake so that your body burns fat for fuel. To figure out how many calories to cut to lose weight, you need to calculate your daily caloric needs and then reduce that number to create a calorie deficit. You can use a simple online weight loss calculator to figure this out instantly, or you can do a little bit of math to figure your numbers out on your own. Keep in mind that a deficit of 500 calories per day will help you to lose about 1 pound per week. A calorie deficit of 1,000 calories per day can result in a 2-pound weight loss per week. Cutting more than 1,000 calories from your diet may do more harm than good. Very low-calorie diets should only be followed under a doctor's supervision. Now that you know how many calories to eat every day, it's time to reduce calories for weight loss. There are two ways to reach your calorie goals. You can either eat less food (portion control) or you can eat food with fewer calories. Most dieters combine both approaches for best results. Portion control will allow you to keep all (or at least most) of your favorite foods in your daily food plan—you'll just need to eat less of them to keep your calorie count in control. You may find it helpful to cut meal portions in half to consume fewer calories. Some dieters measure food portions with a kitchen scale to find the right amount to eat. Others are able to measure food portions without a scale, simply using their hands or other handy kitchen gadgets. But it's also important to learn how to eat lower calorie foods. When you teach your body to crave foods that are naturally low in fat and high in nutrition, you help your body feel full and satisfied. The result? You naturally want to eat less. Look for fresh vegetables, whole fruit, lean protein, low-fat dairy, and healthy carbohydrates that provide fiber and other nutrients. Luckily, you'll find that many of the best foods for weight loss are inexpensive, convenient, and easy to find in your local grocery store. When you learn how to plan and prepare meals in advance and fill your refrigerator with diet-friendly foods, you can even save time and money while you slim down. One of the quickest and easiest ways to lose weight is to change the beverages you drink each day. Many popular drinks contain hundreds of calories and countless grams of added sugar—and some of these drinks are even labeled "healthy." Sodas and sweetened teas are usually full of empty calories. Sports drinks often contain more calories than you need, and even juices can do a number on your diet. And your daily trip to the coffee shop? That morning latte can add 500 calories or more to your waistline, depending on how it is prepared. You might wonder if diet drinks are any better. The answer depends on who you ask. Some weight loss experts and dieters say that diet sodas and other artificially sweetened beverages are a welcome swap when you're trying to lose weight. Other experts say artificial sweeteners can cause more harm than good. Your best bet may be to drink naturally flavored water to stay hydrated during the day. Most dieters want to lose weight fast. It's hard to have the patience for slow and steady weight loss. But most experts agree that you should expect to lose weight at a healthy rate of 1 to 2 pounds per week. It is not uncommon, however, for fast weight loss to happen at the beginning of a new diet plan. In fact, some weight loss programs include a short one- to two-week introductory phase where your eating is more restricted and weight loss happens more quickly. You may lose 3 to 5 pounds during this stage. Some dieters lose up to 10 pounds in the first two weeks of certain plans. But this quick slim down is often the result of lost water weight. When you cut back on your food intake, and especially when you cut back on your carbohydrate intake, your body loses a lot of water and your weight plummets as a result. The new number on the scale may provide a boost of motivation. But it's also important to keep those results in perspective. To lose weight and keep it off you need to lose fat, not water. And it's important to conserve muscle mass to maintain a healthy metabolism. Experts agree that the best way to reach these goals is to lose weight gradually with steady changes to your diet and exercise plan. Many successful dieters exercise to lose weight, but adding physical activity can also make you more hungry during the day, increase fatigue, and even cause injury. It's important to start slowly and build a weight loss workout plan for improved health and fitness. Before you start any exercise program, you should check with your doctor to make sure that you are healthy enough for vigorous activity. Once you have been cleared, then you can build a program based on activities that you enjoy. Maybe you'd like to start a walking program for weight loss. You can also choose activities like swimming, biking, or even fencing to lose weight. If you're not sure where to begin, you can join a gym or hire a personal trainer to get help. There are also many online workouts and home exercise programs that you can do in the privacy of your living room to burn extra calories and improve your level of fitness. But remember that your non-exercise physical activity matters, too. Your daily steps and non-workout movement (like gardening and doing the laundry) can make a big difference in your weight loss plan. So as you build an exercise program, try to stay as active as possible at work, at home, and when you travel. As you hit challenges and plateaus in your weight loss journey, you may be tempted to try diet supplements, herbal treatments for weight loss, and other alternative methods to lose weight. Some of these options work, but unfortunately, many of them don't. There are very few diet pills that have been proven to help you lose weight. Most weight loss medications that work can only be prescribed by your physician. The diet pills and herbal treatments you see on store shelves are often ineffective and, in some cases, may even cause harm. Talk to your doctor and ask important questions before taking any diet pill or weight loss supplement. You'll also find complementary or alternative treatments, like acupuncture, meditation, or massage for weight loss. In some cases, you might find that these treatments are helpful during your dieting journey. They may improve the way you feel about your body and even help you sleep better at night for improved weight loss benefits. There will be days when you want to give up and you feel like all of your hard work is a waste. At these moments, diet support is essential for long-term success. 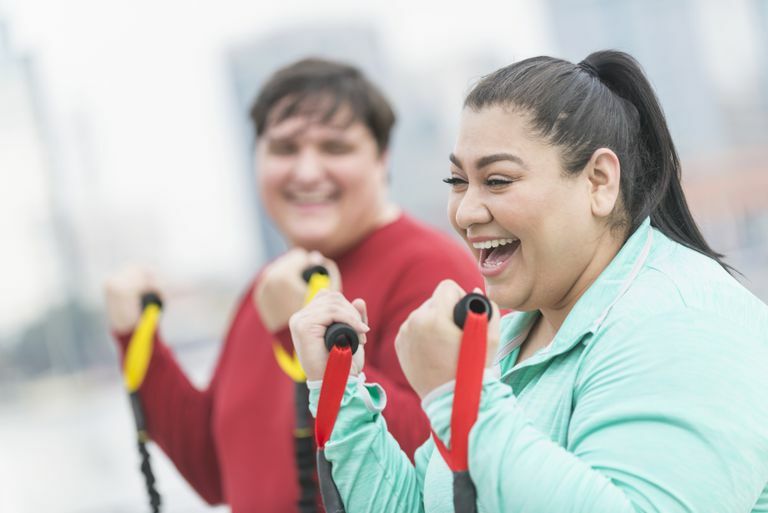 At the beginning of your weight loss process, you may find it helpful to share your goals with friends and family members who might be willing to help. Your spouse, your children, neighbors, coworkers, close friends, and even members of your religious community may be willing to cheer you on when the going gets tough. But if you don't have a network nearby, there are still options to get help. Your health care provider can provide important medical support for your weight loss journey. They can also provide referrals to a registered dietitian, physical therapist, or behavioral health specialist to help you address challenges as they arise. There are also online communities to help you through the rough patches. Popular weight loss apps like CalorieCount, MyFitnessPal, and LoseIt provide space for members to ask questions or solve problems. If you joined a weight loss program like Weight Watchers, you can also take advantage of face-to-face or online meetings. You may also find support in homegrown social media groups. Lastly, you should learn to motivate yourself to reach your goals. There are specific techniques you can use that will boost your confidence and help you to stay motivated on the difficult days, such as keeping a weight loss journal and using positive self-talk. So, what happens when you've tried diet and exercise, you've worked your hardest, and you simply can't lose weight? Don't give up. It might be time to turn to your doctor for weight loss assistance. There may be a medical cause for your excess weight and medical treatment that can help. Your primary care physician is the first place to begin when you're looking for a medical weight loss solution. He or she can evaluate your complete health history and refer you to a bariatric (weight loss) doctor that can provide more specialized treatment. You can also do some research on your own to find a qualified weight loss doctor in your area. You and your doctor can explore possible treatments for your weight loss concerns, including weight loss medications, weight loss surgery, and even other non-surgical treatments to help you lose weight. In some situations, losing weight may provide health benefits. In those cases, your health insurance provider may be willing to cover the cost of your treatment. Weight loss can be a struggle. Even the most dedicated dieters have good days and bad days, often feel defeated, and sometimes want to give up. At Verywell, we understand that your weight loss goals are important to you, and we want to give you the information and the support you need to lose weight. Visit us often to get the tools, tips, and friendly advice you need to make your journey healthy, happy, and successful. Best Way to Lose Weight, Guide to Behavior Change. National Heart Lung and Blood Institute. http://www.nhlbi.nih.gov/health/educational/lose_wt/behavior.htm. Johnston, B.C. (2014b) ‘Weight loss among named diet programs’, JAMA, 312(9), pp. 923–933. doi: 10.1001/jama.2014.10397. Malik VS, Schulze MB, Hu FB. Intake of sugar-sweetened beverages and weight gain: A systematic review.The American Journal of Clinical Nutrition. 2006;84(2):274–288. http://ajcn.nutrition.org/content/84/2/274.long. Office of Dietary Supplements - Dietary Supplements for Weight Loss: Fact Sheet for Professionals. National Institutes of Health. https://ods.od.nih.gov/factsheets/WeightLoss-HealthProfessional/. Weight control. Medline Plus. https://medlineplus.gov/weightcontrol.html.